In the Book of Romans, Chapter 6, I want to bring something in about baptism and what it is for. Verse 3 says, “Know ye not, that so many of us as were baptized into Jesus Christ were baptized into his death?” Now I want you to associate two words together here—baptism and death, which (for the saints that have already gone on before) shows the importance of baptism and how it has to do with the resurrection. And we which are alive and remain are rejoicing with confidence in our full redemption as we eagerly wait for their appearing among us to complete our joy as the wife of the Lamb. Let’s go to Romans 6:4. It says, “Therefore we are buried with him by baptism into death: that like as Christ was raised up from the dead by the glory of the Father, even so we also should walk in newness of life.” Here Paul is putting this scripture in its proper place in the spiritual realm. Verse 5, “For if we have been planted together in the likeness of his death, we shall be also in the likeness of his resurrection:” When we talk about the baptism and resurrection, that’s speaking here in the natural realm. But the sounding of the trumpet puts us beyond water baptism and dying. It brings on both the resurrection and our translation. So we thank you, Paul, for being obedient to Christ and boldly bringing out of God’s treasures this great revelation concerning the trumpet as seen in 1 Corinthians 15:51-53, for the last enemy, death, is destroyed in the wife of the Lamb because of the sounding of this last trumpet. And now there’s a people that will see the dead rise and will be changed at that time! Let’s get Verse 5 again, “For if we have been planted together in the likeness of his death, we shall be also in the likeness of his resurrection:” Verse 6, “Knowing this, that our old man is crucified with him, that the body of sin might be destroyed, that henceforth we should not serve sin. For he that is dead is freed from sin.” (That’s natural; but it’s showing it is the same in the spiritual realm.). Now the verse I really want you to notice here is Verse 5, “For if we have been planted together in the likeness of his death,” That’s why in the past we took saints to the water and planted them in the name of the Lord. And the Word says, “we shall be also in the likeness of His resurrection:” Well, when we see what Paul preached about we which are alive and remain, the burial and resurrection fits into a time just before we reach this translation time frame. 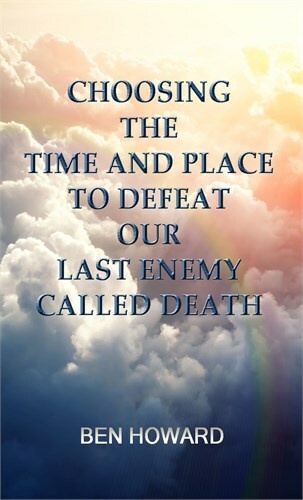 And this time frame is brought on by the sounding of the trumpet which puts us beyond the death sentence. You might say, “Brother Howard, I’m not willing to go there.” Well, the thing is, you can’t go unless God leads you by His Spirit and gives you revelation.